Primary level - WELKOM BIJ ANGLIA! 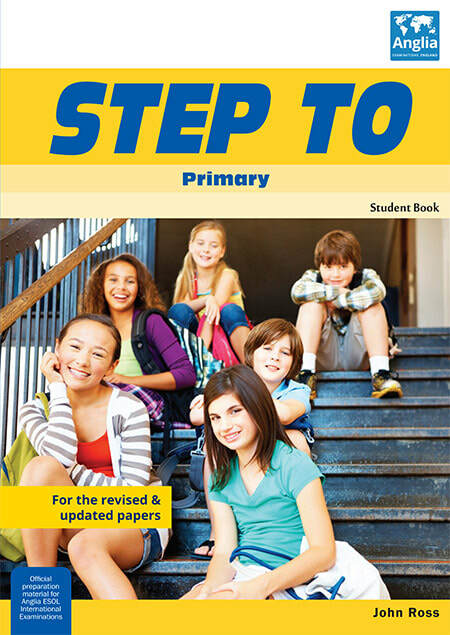 Succes met je Anglia primary examen! 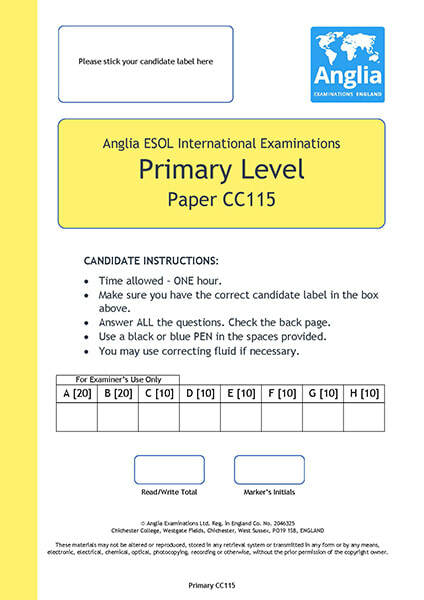 Maak een oefenexamen of klik op een van de Grammar Points (GP's) om specifieke onderdelen van het Anglia Primary examen te oefenen. Klik op de afbeelding om het Primary oefenexamen te openen. - There is a book on the table. - There are four girls in the kitchen. Talking about habits, routines, facts (such as where a person lives), the actions of everyday life. - My uncle lives in a small house. - She is thirteen years old. - I always take the bus to school. Describing what people or animals like doing. - My cat likes sleeping in the garden. - My brothers like playing football in the park. Talking about experience and recently completed actions. - My brothers are playing football in the park at the moment. Asking and answering questions about the above. - Do they often go to the cinema? - Do you have/Have you got a computer? - Are the children doing their homework? - Is she eating her breakfast at the moment? - Sue doesn't like dogs. - John isn't studying now, he is talking on the phone. - He can play the guitar. you, he, she, it, we, they, me, you, him, her, it, us, them. Describing and identifying people, animals and objects. - Do you want my father? - He is in the garden. - John is with him. GP 10: Demonstrative pronouns This, these, that, those. Asking for, and giving information. - That family is rich. - Is this a kettle? Linking sentence parts and ideas. - John and Mary are in the garden because it is sunny. Asking questions about people, animals and objects. - Who is that girl? - Where are Peter and Paul? - I usually eat an egg for breakfast. - At the moment, John is playing in the park. Talking about time, place, position. - The examination finishes at 4pm. - My brother is 10 years old in August. - I am going to Disney World on 1st August. Countable and uncountable nouns. The names of common shapes. Talking about numbers of things. Talking about amounts and quantities. Describing the shape of something. - Can I have the butter? - Can I have two sweets? - This is a square. - That is a circle.